It's murder at the dog show! 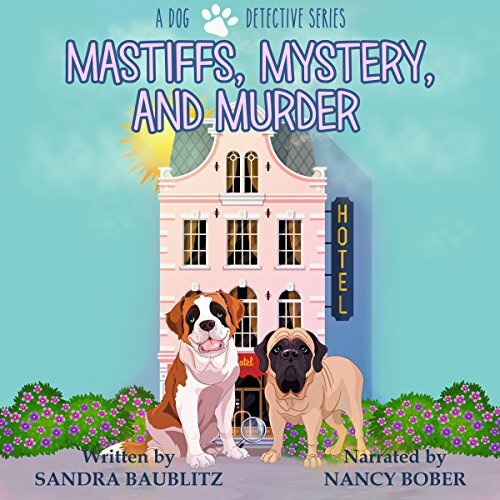 When amateur sleuth Clarissa Hayes and her trusty Saint Bernard, Paw, enter a dog show, they expect to find dogs, blue ribbons, and trophies. Not dead bodies. Clarissa's boyfriend is tracking a suspect in the death of a dog fancier. It's up to Clarissa and Paw to provide him cover as they compete in the show. Clarissa’s boyfriend is chasing the murderer of a dog owner, famous around dog shows. He suspects from somebody related to the shows, so they enroll Paw, Clarissa’s Saint Bernard in order to do try to find the culprit. Cozy mysteries is one of my favorite genre, and I always jump in with both feet whenever I have the opportunity. I have to say that I was disappointed at this one. I expected a more mature book. 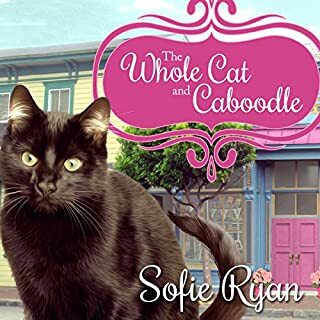 Don’t misunderstand me, I have listened to cozy mysteries for young adults and even pre-teens, but it was clear that they were focused to that kind of audience. I had the impression that this one was focused on an adult audience, but the story felt simplistic and plain. I think this book, to work well, should be rewritten. It’s odd to have a book for teens with adult main characters, and if you want it like this, then write a book for grown ups. The characters were one dimensional, and I found Clarissa and her boyfriend relationship quite weird by nowadays standards. They know each other quite well to the point that Clarissa’s dog is comfortable with her boyfriend, but they reserve a hotel room and they don’t want to share a bed to sleep because they have not reached that point in their relationship. Say what? Again, this could be justified if the main audience is young adults, but even like that it’s just plain weird. I also think that Baublitz should have investigated a bit more about dog shows before attempting to write a book about them. Some things felt really childish, like how easy is for Clarissa’s boyfriend to enroll Paw in the show, and how well Paw and Clarissa did just after a couple of hours of training. C’mon, be at least a bit realistic. With details like this it feels like this is a children book. 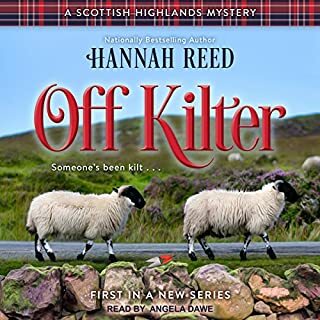 I think I was bothered by all these things to really care about the mystery, and I felt no urgency to know who was the murderer, nor I really cared if anything happened to any of the characters. Nancy Bober’s narration was okay, but the character’s interpretations felt quite stiff. It felt more like reading than narrating. Love it. The story line was great. I enjoyed the antics of the dogs. The story is about clarissa who owns a St. Benard named Paws. 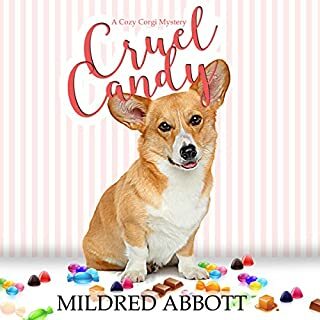 She enters him in a dog show to help with her private eye boyfriend, Bruce, He is doing under cover work at the dog show looking for he murderer of a dog owner. While they are there another owner is killed. Come along with these two and two of there friends as they look for the killer in spite of the police telling them not to get involved. The killer was a surprise. Did not see it coming. The narration for great. I received this book free in exchange for an honest review. They meet the good, the bad, and the ugly of the dog show scene, which is filled with people who love dogs, and people who are incredibly competitive. At least one looks like a potential murderer, and had clashed with the suspected murder victim in the past. It's a bit inconvenient, as well as unpleasant, when he turns up dead, too, this time obviously murder. Baublitz clearly knows dogs. Despite two deaths, another owner attacked, and some alarming moments, it's mostly a light, entertaining story where plausibly real dogs, including Paw and the latest murder victim's mastiff, Samuel, get to play plausibly helpful roles in straightening things out. Some things do work themselves out a bit too simply, but it's a story I was able to relax into, with dogs and dog lovers. Murder at the dog show and what's the best way to investigate? Why not enter your purebred St Bernard! Paw put his best paw forward, and gave Clarissa and Bruce the opportunity to find out who was responsible for the murder. This was a cute cozy mystery. 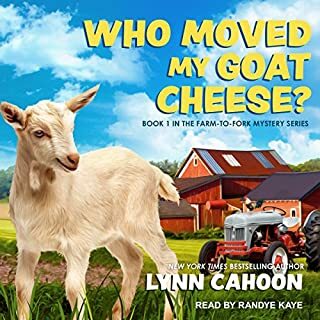 Both the author and narrator were new to me with this fun listen. The story is a cozy mystery and has some humor. There were also some unexpected scenes in the book, plus a nice resolution. As a large-breed dog owner, I found some of the scenes very realistic. I would definitely listen to more books by both the author and narrator in the future. I requested this review copy audiobook from the author, narrator and/or publisher and have voluntarily written this review. 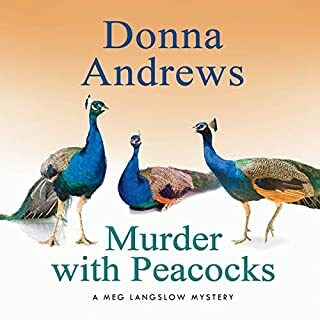 I really enjoyed this cozy mystery. Dogs, a bit of humor and mystery - a really good combination! I haven’t listened to others in the series but I found this to be an ok read but not great. I would have like a little more character development and description. It seemed slow although I did enjoy the scenes when the dogs got loose. I might try the author again. The narrator was also ok but not stellar. Her voice was good but she sounded older than I imagined the character and her tone was a but all over. Overall, not my favorite but not the worst either. I received a free review copy of this book and have voluntarily left this review. A thoroughly enjoyable romp through a high-stakes dog show as a private investigator and his girlfriend investigate the probable murder of a former dog show competitor with the help of the girlfriend's thoroughly lovable but definitely not show-ready St. Bernard. The story features a wide cast of dog show personalities, but two and 4 legged. They range from charming through eccentric to downright nasty but all are engaging and fun to follow. The audio version is well read and the fast paced story line lends itself to this kind of presentation. A story I thoroughly enjoyed and would listen to again, even knowing the eventual whodunit. I received this book free from the author or narrator and offer my review of it willingly. 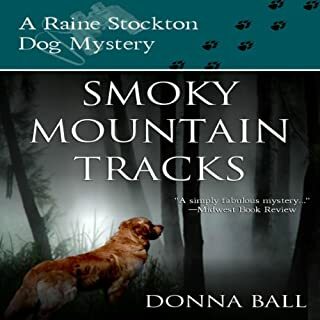 If you like dogs and mysteries, then you'll find this an interesting book. Many of the characters are quirky and the story has several fun scenes.